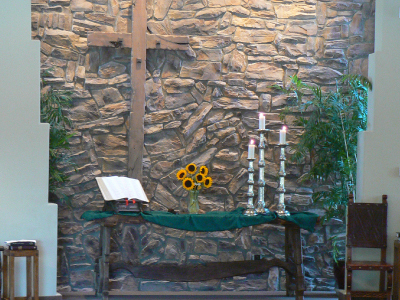 Worship begins at 10 am in our Sanctuary. As you enter the Sanctuary, you will be handed a bulletin that outlines the order of worship for the day and you will be inspired by our gifted Music Director until the service begins. Feel free to sit anywhere! If you have any questions, don’t hesitate to ask the ushers, who can be found near the back of the Sanctuary. Worship includes a diverse range of music from our talented Choir, soloists and a variety of guest musicians on select Sundays. This, along with energetic, inspirational and educational preaching, a time for prayer and the celebration of community invites you to participate in worship in the ways that you feel most comfortable!